- The packaging is neat. 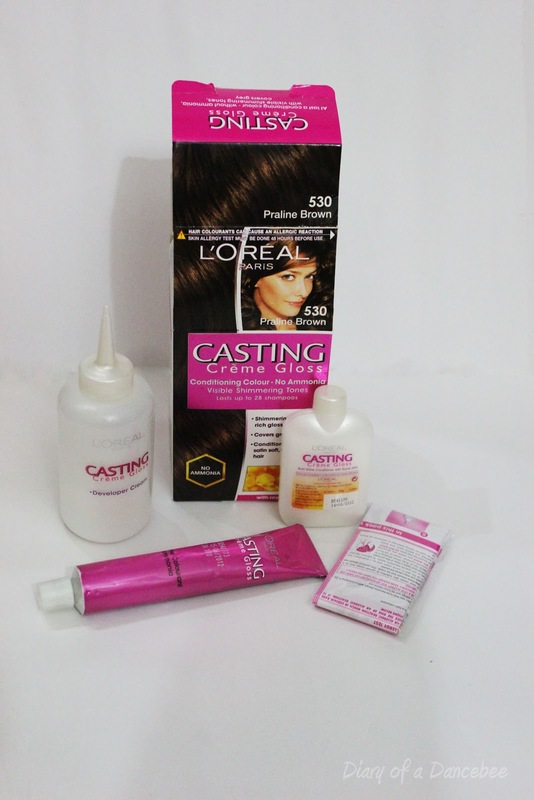 - Apart from the colorant and the developer creme, you also get a conditioner for colored hair. - Hair feels softer and shinier, as promised. - If you are someone who wants to opt for a global hair color and are expecting fantastic results, that the product might disappoint you. As I don't use hair colors and nor do I want to color my hair in the future, I decided to let my mother try this. 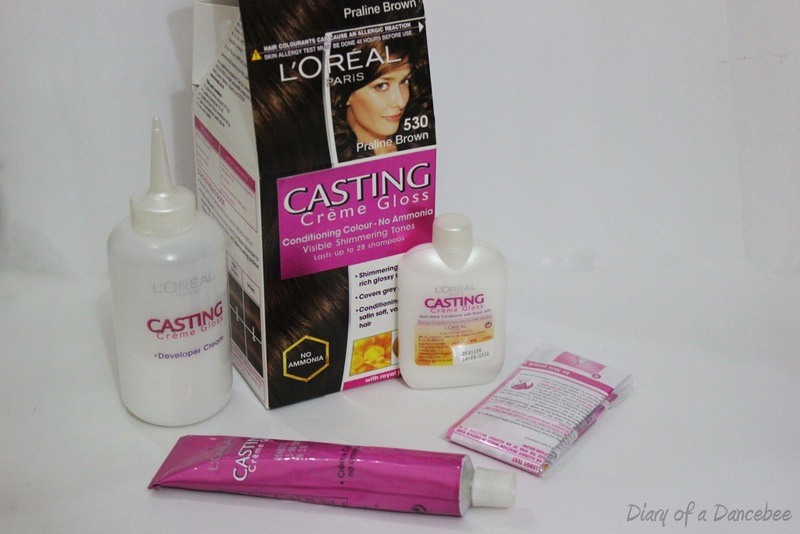 She is a big fan of the Excellence creme hair color by L'Oreal Paris and didn't think twice before saying 'Yes to Color' with the Casting creme gloss. 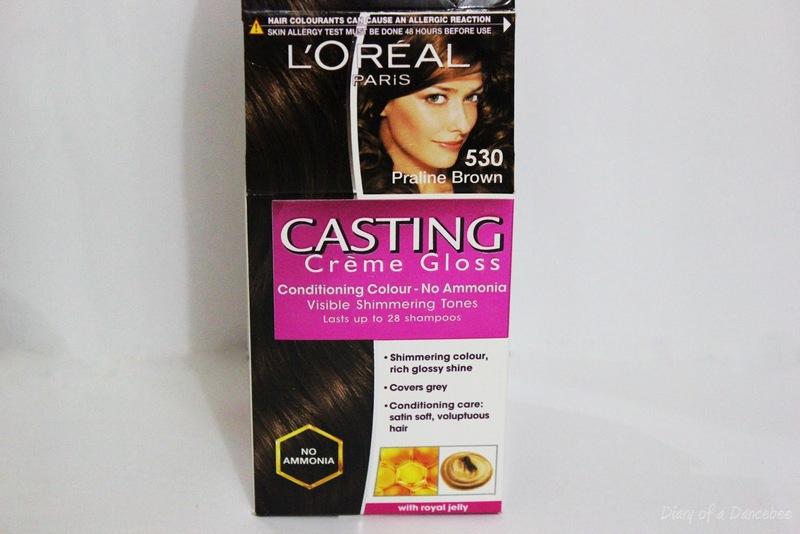 She has beautiful hair with brownish undertones and only a few strands of grey *touchwood*. I noticed that as promised, the product does cover grey very well. It might just not be the right product if you want global grey coverage. After applying the colorant, hair wash and a quick towel dry, I noticed that the grey strands were covered pretty well. She was satisfied with the product (The smile on her face said it all). 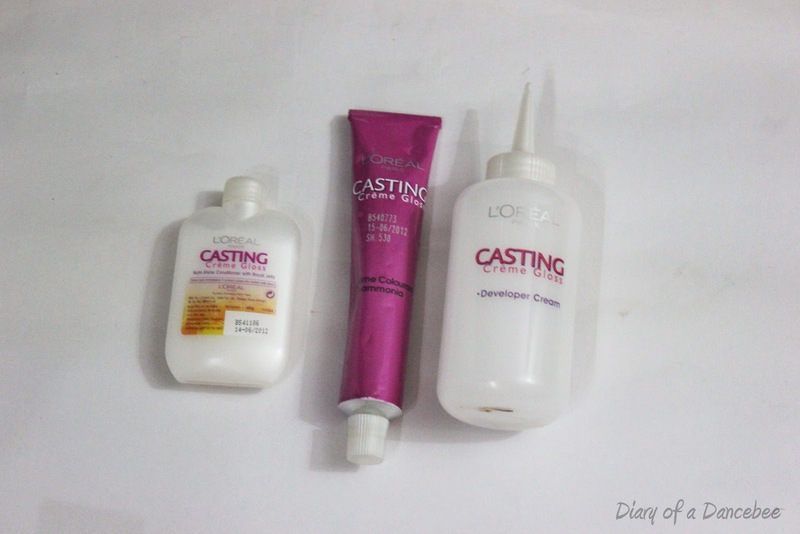 If you want always wanted to get rid of a few grey strands, then this product is perfect. Note: Skin allergy is a must if you haven't colored your hair before. The product was sent by L'Oreal Paris for review.